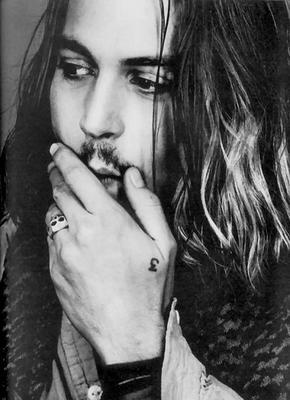 every time I see a picture of Johnny Depp, I think of chocolate?! It's a conspiracy I tell ya!! I think I'll go have some in my coffee right now! You think of chocolate? That's funny, I always think of whipped cream! Chocolate is not what I'm thinking when I see pictures of Johnny .. oh baby ..